A wedding is one of the most beautiful and memorable events in a couple’s life. It symbolizes a change, a new union, and two people coming together to form a family. Most couples want their weddings to be perfect. They spend several months to plan every detail, reserve good venues and make sure they have all aspects of it in place. Even with all the meticulous planning, regular weddings can turn out to be bland and dull, which is why it’s a good idea to consider something different. Why have a generic ceremony when you can have fun? At Elvis Chapel, we encourage people to consider carefree Elvis weddings in Las Vegas. What Makes Elvis Weddings in Las Vegas Special? • A Great Elvis – Our Elvis is a very skilled performer with a lively sense of humor. He has a great singing voice and will keep everyone entertained with his endless charm. He has a wealth of experience in this field and has hosted several events over the years, which makes him the ideal fit for your special ceremony. • Different Packages – We understand that different people have different expectations from their weddings. That’s why the chapel offers a number of packages so you can find something that fits your requirements perfectly. Clients can get a small, affordable ceremony at one of the best wedding chapels in Las Vegas or reserve a full-service package. All include the services of our in-house Elvis, some photographs, and a replica of the Elvis-Priscilla wedding certificate with their names on it. Elvis can perform anything from one song to an entire concert based on the package you choose. • Great Customer Service – We also have a friendly staff willing to assist you with all matters related to the ceremony. They will help you pick the right package, schedule the ceremony at the best time, and offer advice. If you need to book great Elvis weddings in Las Vegas, give us a call. We offer comprehensive services and care a great deal about customer satisfaction. • Spacious - We have a beautiful, spacious chapel so you can easily invite a large group of friends along to witness the ceremony. There’s enough room for people to move around, dance, and socialize without feeling crowded. This is an important consideration if you intend to bring up to 18 guests. • Chapel Environment - The chapel has a warm, welcoming environment that will add a special touch to your wedding. It is well-maintained, properly decorated, and beautiful. It will make a great backdrop for all your wedding pictures, which makes our chapel a better alternative to others in Las Vegas. • Different Packages – While we are known for Elvis-theme weddings, clients can book different options as well. You can choose a wedding vow renewal ceremony, book a small, traditional chapel ceremony, or something more unique. The packages are diverse and flexible, so you can choose something that suits your individual requirements effectively. • Religious or Civil Ceremony – Our chapel is suitable for both religious and civil ceremonies. 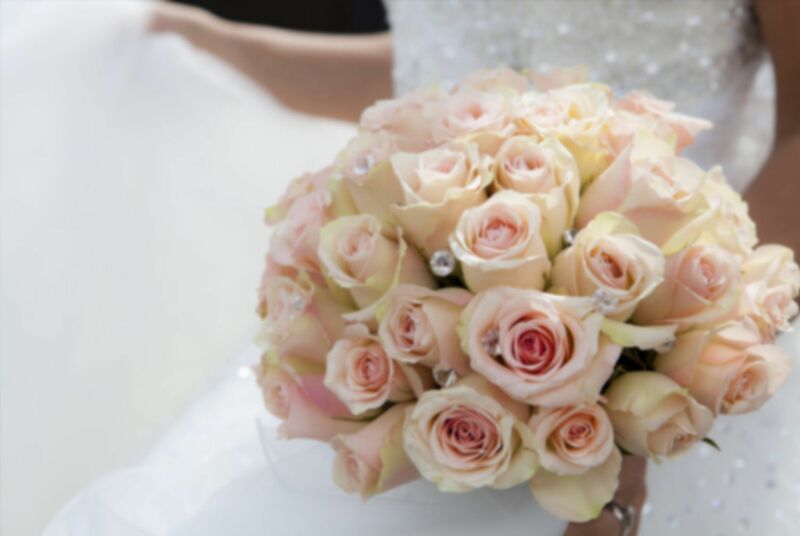 We can hire a priest or a celebrant on your behalf so the ceremony is carried out according to your personal beliefs. • Photography and Videos – Most packages include some form of photography services. You get professional-grade pictures of your beautiful, intimate ceremony so there’s no need to hire a third-party photographer. Some packages include video services so you can record the entire ceremony. The chapel provides the perfect backdrop for all photographs and videos. Elvis Chapel provides other options too so if you don’t want to have an intimate indoor wedding, consider our outdoor wedding options. We offer weddings by the famous “Welcome to Las Vegas” sign, hotel room ceremonies, Fremont Street experience weddings, Grand Canyon helicopter wedding service, and Las Vegas strip helicopter wedding experience. We can also organize for a limo if you’d like. Our goal is to make sure your ceremony is unique and interesting by providing the best services. 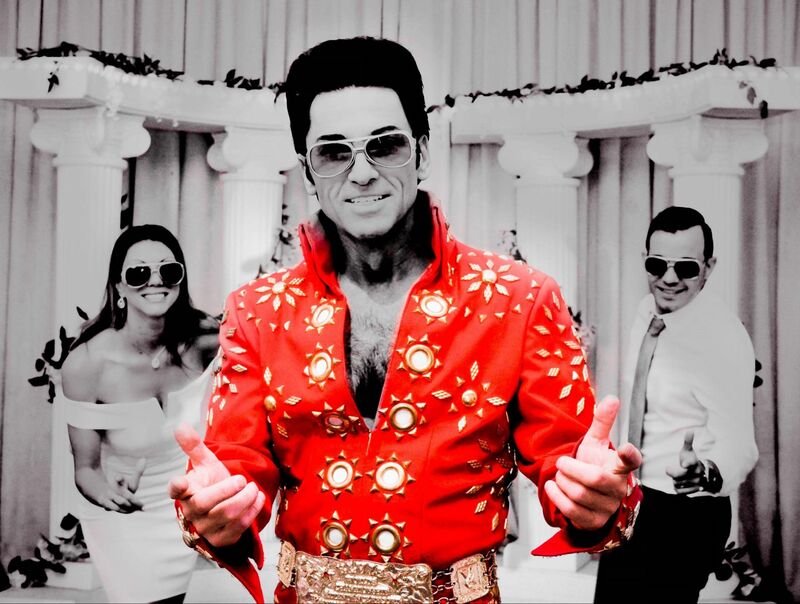 Whether you need a fun Elvis-theme event or an intimate traditional chapel affair, give us a call today!